Hi! While I read Luc Parent’s gorgeous recommendation for the Iles de la Madeleine, in Kitelife’s last issue with considerable interest (and a very healthy amount of envy), I have decided that my own definition for the qualities I find necessary for a favorite flying-field probably differs from his by a fair amount. 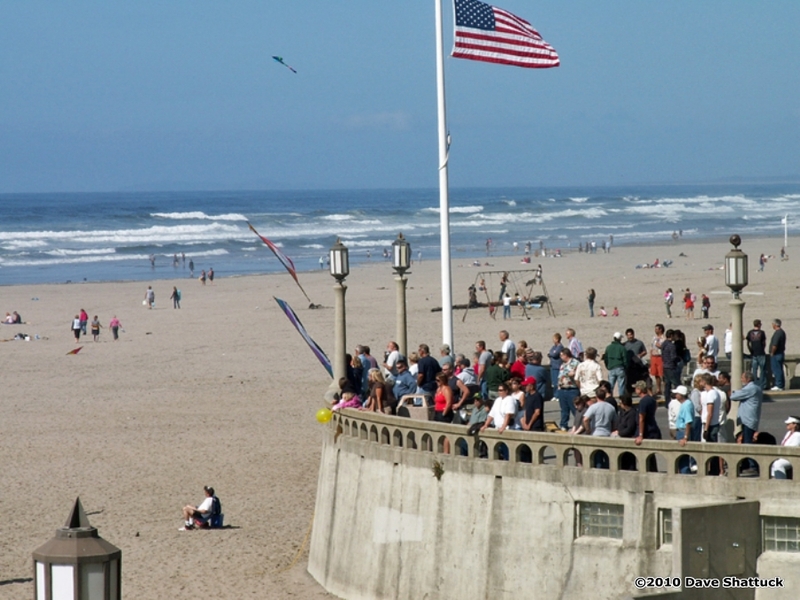 Fortunately, I live in the Pacific Northwest right on the Oregon-Washington border – so I have access to a half-dozen “good” to “great” flying beaches – really the ONLY place to fly! Yeah, I have a decent flying-field (well… tolerable anyway) to use about 15 minutes from home – but it’s got those “inland” winds, meaning variable directions and wind-speeds and frequently “bumpy” stuff, so for the purposes of this discussion I’ll skip that one altogether and focus on one of our favorite Pacific beach flying-fields instead. Seaside, OR is a reasonable drive from where we live and we can make it out there, fly for several hours, and get back home the same evening. 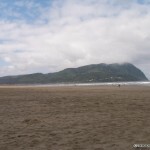 It has an excellent beach right in the center of town, and the beach stretches a mile or so north before it ends up at the mouth of a small river. And Seaside has about all the amenities in the world. 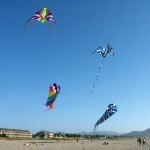 Indeed, the local kite-shop is a short walk from the beach for replacement rods for busted spars and chewed-up fittings. There are plenty of hotels and motels available too. The eating establishments range from fine dining to very inexpensive, including a place called Blackfoot’s just south of town that serves about the hugest burger I’ve ever seen. And there are all of the other stores and shops you’d expect to find in an ocean-beach resort town of 6,300 residents, of course. 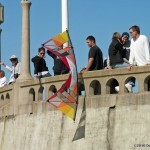 But let’s talk kite flying conditions at Seaside. 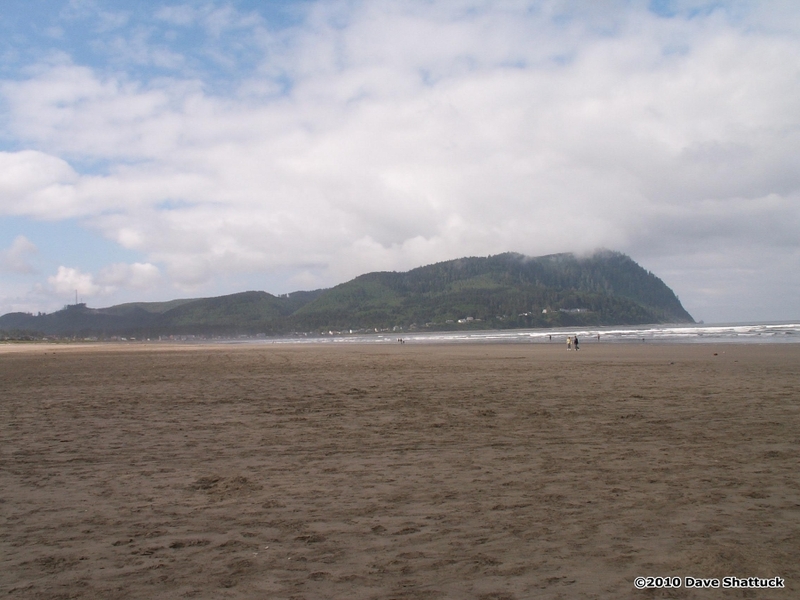 The gradually-sloped beach runs north and south, and is fairly wide, meaning at least 100 yards at high tide and close to 250 yards at low tide. With the Pacific Ocean fronting it, you have roughly 3,000 miles of nothing but salt-water to look at. 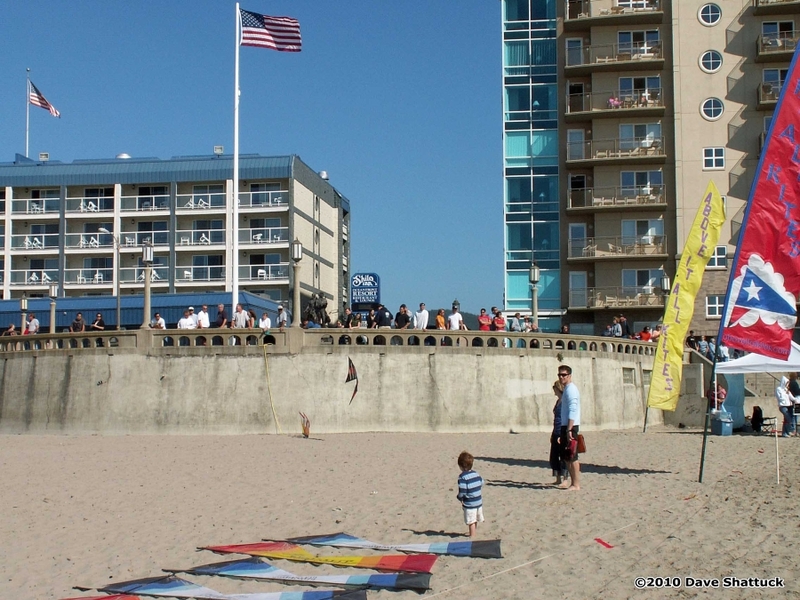 The prevailing winds are on-shore about 80-90 percent of the time, so what winds we get in Seaside are winds off the ocean – unimpeded by any buildings, islands, or other land. Yes, there’s a “Head” or point sticking into the sea about 3-4 miles south of town, but a wind from the south, meaning “bumpy” winds over that head, also indicates wet weather anyway. 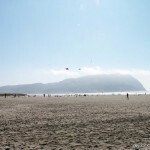 Speaking of that – wind and weather forecasting for Seaside is actually fairly easy. The more northerly the wind – the drier the weather, and conversely, the more southerly – the more likely you are to get wet. Temps range from lows of 50s to highs of the upper 60s in the summertime, and average lows of around 40 to highs in the mid to upper 50s during the winter months. And our wind-assessments start at dawn with a normal “land” breeze, but it usually switches over sometime around mid-morning to an on-shore breeze. This sea breeze starts low, maybe 1-3 mph, then gradually builds until roughly 2-3 hours before sunset when it starts to moderate again. How high the velocity actually gets depends on wind direction as much as anything else. Again, the further northerly or southerly it gets, the higher the potential wind velocity. On an average afternoon with clear skies, the projected “high” for wind-speed would be roughly 13-17 mph. So we study the local weather forecast from home, looking for an off-shore high pressure cell – meaning northerly winds and clear skies – then off we go to the beach at Seaside to FLY! A little geography: Seaside is sandwiched between the Pacific coast and US Highway 101, which is about a mile or so inland. You come into town on US-101, and turn west toward the Pacific Ocean on Broadway, which is the town’s “main-drag.” You’ll know when you’re “there” when you’re forced to make a U-turn at Seaside’s “Turn-Around.” I mention this place because it really is one of the noteworthy features of Seaside. 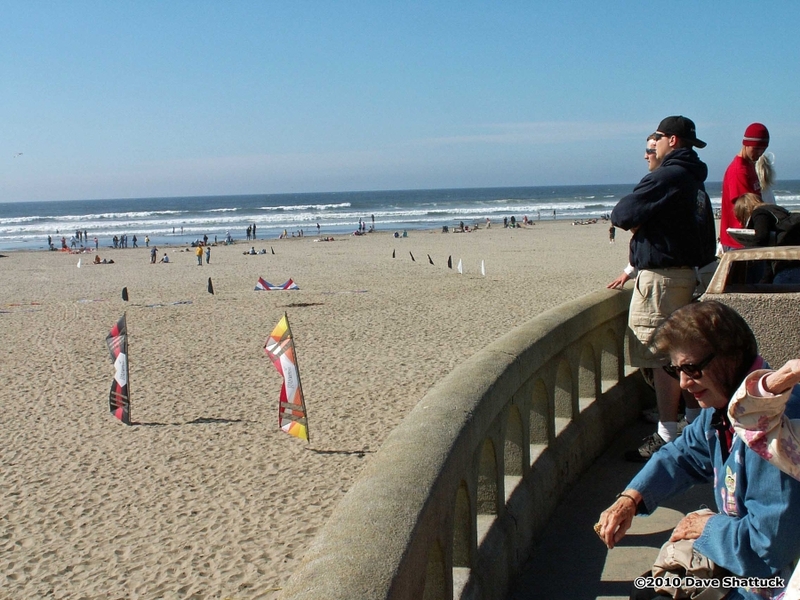 Everyone in Seaside knows where the “turn-around” is – even we tourists. Perpendicular to Broadway and running along the “front” of the town is the “Boardwalk.” It’s the pedestrian-only north and south thoroughfare just east of the dunes – and just west of the strip of hotels, condos, and residences that have those sought-after Ocean Views. From the boardwalk back to US-101 is the expected conglomeration of houses and apartments, with most “shop” businesses centered along Broadway. The larger establishments – grocery and hardware stores, auto repair and gas stations, and even an Outlet Mall north of downtown – are all out along US-101. Well. I’ve given you an idea of the town. 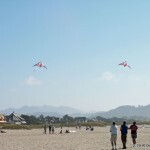 Let’s get into the REAL reason Seaside is attractive to us – KITE-FLYING! Yep, the winds can be superb. Those “laboratory-grade” AAA+++ winds we all dream of… Plenty of sand, so plenty of room to fly. And that “turn-around” is the central point for your day at the beach. 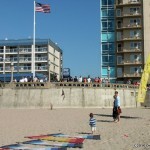 Find a place to park reasonably close to the turn-around, unload your gear, and walk down to the beach. 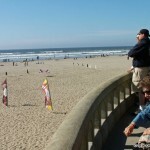 There are steps down to the beach on either side of the turn-around, or you can bypass them and walk straight onto the beach anywhere north of the turn-around. 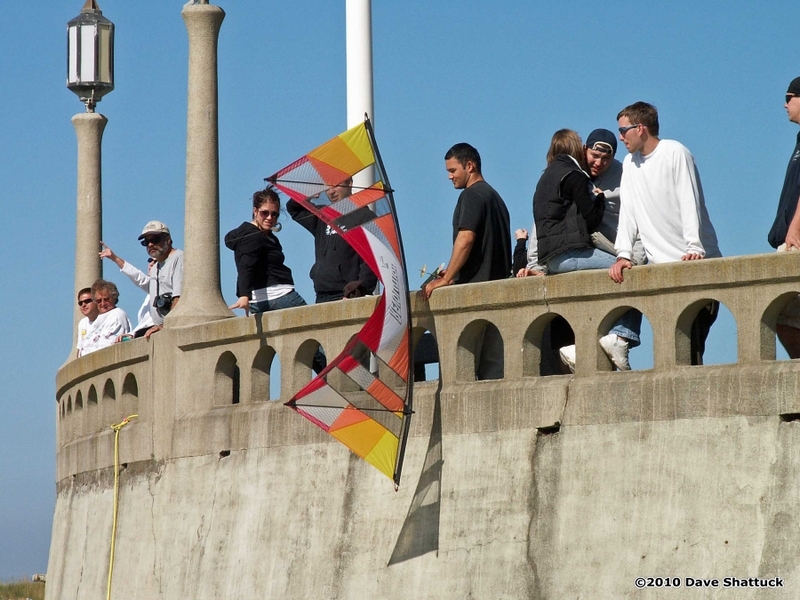 Once there, unload your first kite, and just start flying. No hassles, no problems, no permits necessary. The beach is free and so is the wind. 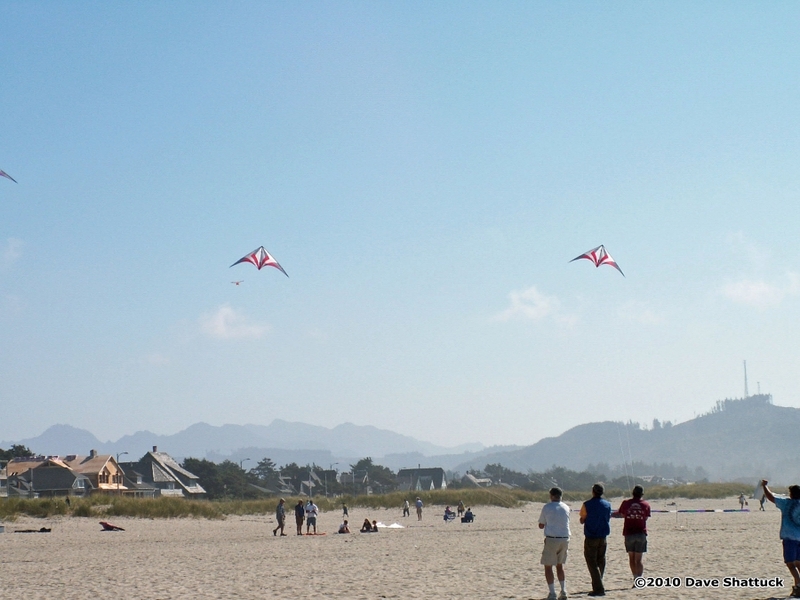 If it gets congested or you start to feel a little cramped, just move 100 feet up or down the beach and keep on flying. 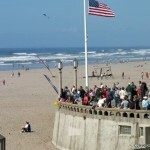 A good rule of thumb is that the closer to the turn-around you are, the more congested the beach is likely to be. 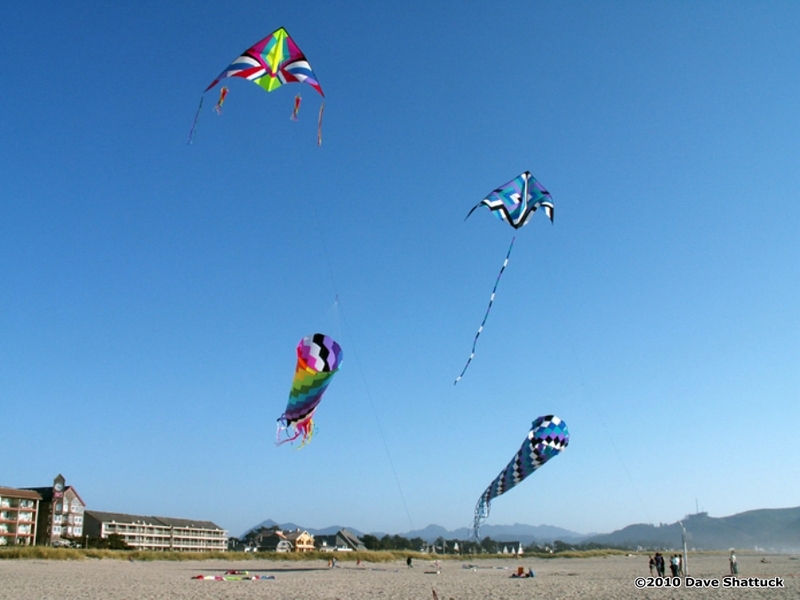 Anyway, once you’ve settled into a spot, it’s your turn to “fill the skies with color” – or with motion, if you happen to be a Sport Kiter. Just have at it, no holds barred, and Katy-bar-the-door. ENJOY!!! Finally, I will also happily mention that Seaside will be the home of the AKA National Convention on October 19-23, 2010. And there’s a good reason for that, too. The American Kitefliers Association likes a good beach and lab-grade winds! That’s why the AKA has selected Seaside as the site for it’s Fifth (5th) convention at Seaside, which exceeds all other sites in the country for the number of AKA conventions held in their city. 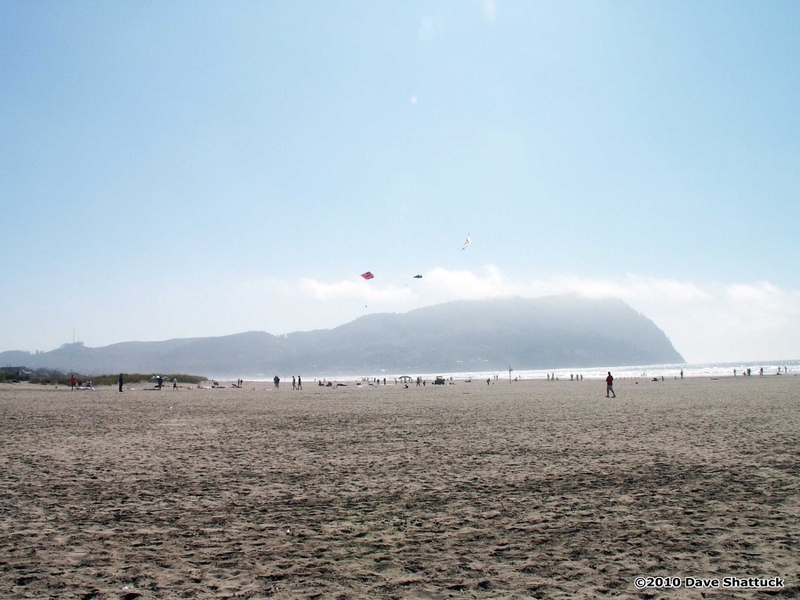 It’s the Amenities, the Location, the Beach, and… that glorious WIND! See you all out there at Seaside? I sure hope so. Stop by and say “Hi” to me when you’re there, will ya? This entry was posted in 2010, Issue 70 (Jan/Feb), KL Archive, Places and tagged beach, seaside.